Catherine Converse lives with her husband and four children in beautiful Montana. 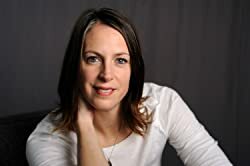 She writes young adult science fiction crime, books for kids, nonfiction, and women's contemporary fiction (as Lexi Mase). Her daughter, Chloe, has also published a children's book, titled Baskin and Greel Discover Friendship. Please enter your email address and click the Follow button to follow Catherine Converse! Sally is afraid of getting in trouble and really wants something that her friend has. But when she doesn't tell the truth, she starts to feel really bad inside. Sally has big decisions to make about fixing her mistakes, and discovers that it feels way better on the inside to be honest.